Both supporters and opponents of potential new copper-nickel mining in northeast Minnesota are expected in large numbers at a public meeting in Duluth on Thursday evening. They'll weigh in on a question that has fiercely divided residents of this corner of the state for years: Is the vast economic potential of enormous untapped mineral reserves worth the potential environmental risks to the treasured Boundary Waters? The answer to that question three months ago from the U.S. Forest Service and Bureau of Land Management was a tentative "no," when the agencies proposed a 20-year ban on new mining exploration and development on a huge swath of federal land near the Boundary Waters. Future potential mines in the Boundary Waters watershed "could lead to irreversible impacts upon natural resources," the Forest Service wrote in December. The agency also expressed concern over "the perpetual treatment of water discharge" that "would likely be required" at potential future mines. Federal officials called for a two-year time out on new mining activity on more than 230,000 acres within the Rainy River watershed of the Superior National Forest, while they study whether to implement the so-called mineral withdrawal. The public has a chance in Duluth to comment on what that study should cover. The Forest Service expects to take up to two years to complete an economic impact statement on the proposed mining moratorium, at which point the Secretary of the Interior would decide whether to implement it. But mining supporters don't believe that environmental analysis should go forward. "We don't think this is a necessary study," said Nancy Norr, chair of Jobs for Minnesotans, and director of regional development for Minnesota Power. "And we certainly don't support the withdrawal of mining interests out in that area for 20 years." A moratorium on new mining on federal lands would be a devastating blow to Twin Metals, which for years has been exploring for copper, nickel and precious metals near Ely. The company says it has invested $400 million into the potential underground mine, which if eventually approved could operate for 30 years and create nearly 1,000 jobs. At the same time the government proposed the 20-year mining moratorium, or withdrawal, it also refused to renew two federal mineral leases critical to Twin Metals' project. The company has since sued the government over that decision. Other companies are also exploring the rich deposit of minerals that lies largely within the area the federal government is proposing to withdraw from mining development. Norr and others argue those companies should be allowed to explore and propose detailed mining plans, at which point they would then be subject to a comprehensive environmental review. 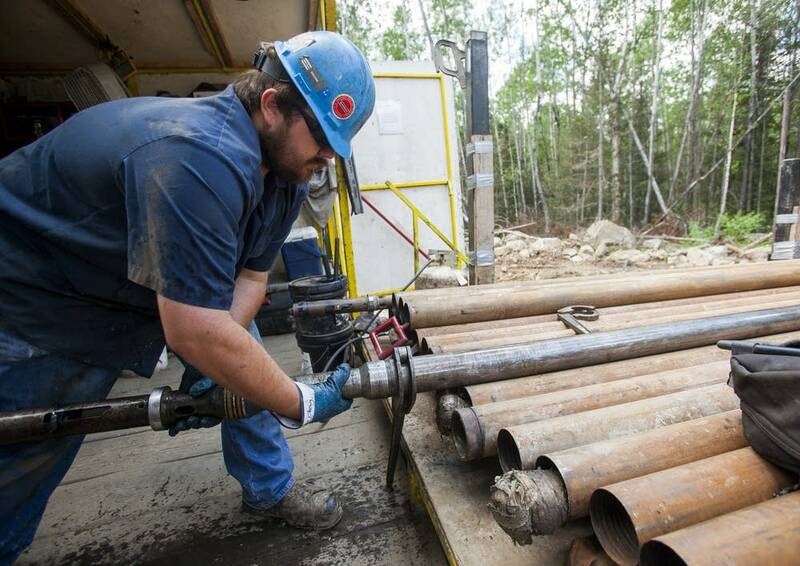 "Our message is to go back to the process, which has been well-regulated, and requires vigorous environmental review and permitting once a mine plan has been defined," Norr said. Mining opponents counter that the Boundary Waters Canoe Area Wilderness is an iconic and special place, and that copper-nickel mining poses too great an environmental risk within its watershed. "The Forest Service is going through a process that's using science, and we want that particular process to be carried out," said Jon Nelson, co-chair of Northeastern Minnesotans for Wilderness, which is spearheading a campaign called Save the Boundary Waters. "This is too important a decision to not take the time to really make sure that we're doing our best to protect the Boundary Waters," he said. Nelson added that Republicans and Democrats have both supported the Boundary Waters in the past, and expressed confidence that if the Trump administration "takes a look at the evidence used, then they'll let this process continue as planned." The Forest Service announced earlier this week it would add another public meeting on the Iron Range, and extend the original 90-day comment period by another four months, "due to immense public interest and the complexity of the proposal."